Here's a sweet treat for all the last minute moms (me!) who need something quick to bring to a gathering. 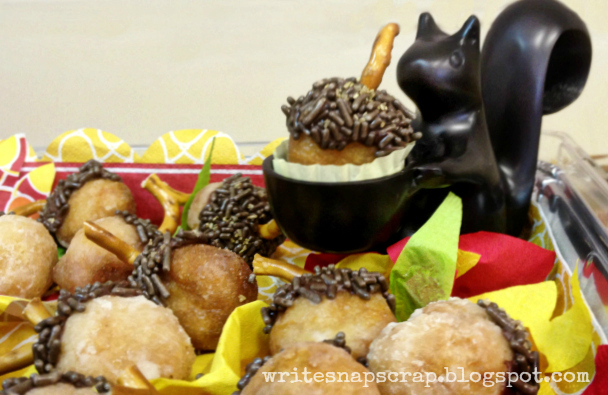 These Acorn Donut Holes are a super quick and easy treat sure to please young and old. You can't fail with this one and they won't take more than 15 minutes to make. I originally saw this idea in Disney's Family Fun magazine. Start with your favorite donut holes. Dip just the tops of the donuts in warm frosting. You can also use peanut butter or Nutella as an alternative. Add chocolate sprinkles. 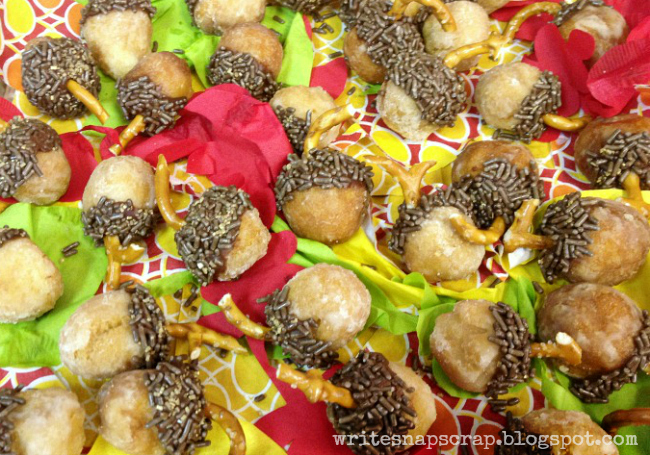 To finish the acorns, add a pretzel stick stem. Put them on a platter and watch them disappear. Side note: the squirrel is a tealight holder from Crate and Barrel. Love repurposing! Ok, back to Monday's post. Thanks so much to everyone who commented on my Trendy Twine birthday celebration and giveway. 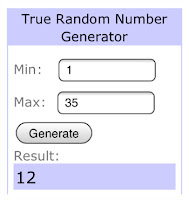 I used random.org to pick a winner. 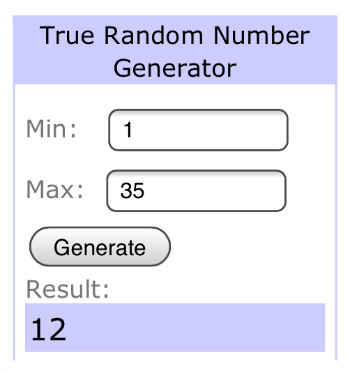 Mary Pat Siehl, you are number 12! I'll click back to your blog to contact you. These are such a cute treat idea! I could see myself nibbling one or two or...storing them away for winter hibernation. :) Happy Thanksgiving, Izzy! Congrats Mary Pat! What a CUTE IDEA!! I just loveeeeeeeeeeee this!!!! And congrats to Mary Pat!!!! OMGOSH, Izzy!! What a GREAT idea! How fun is this on the table :) AND I just bought Nutella for the first time....hmmmm....lol! ok these are just the cutest thing i have ever seen!!! oh wow! i never win anything -- this is so exciting!! i will email you!